Effortlessly fill your calendar with events from Meetup, Eventbrite, iCal, Google Calendar, and more! 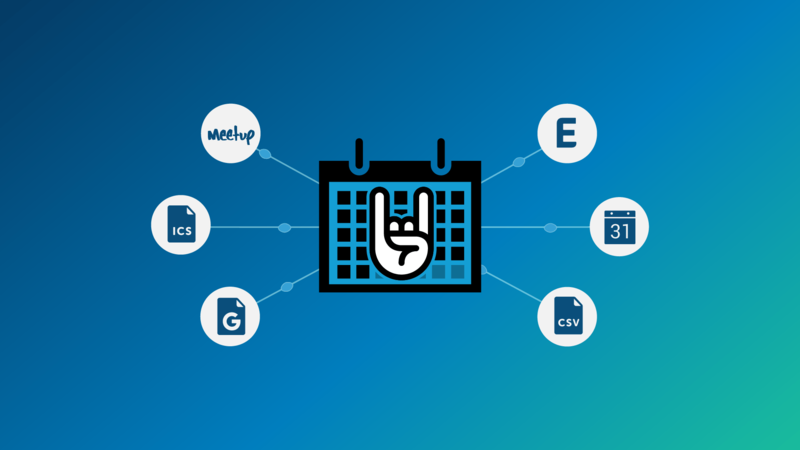 Event Aggregator adds massive import functionality to your calendar. Before you know it, you’ll be importing events from Meetup, Eventbrite, Google Calendar, iCalendar, and other URLs with ease. Schedule imports to run automatically behind-the-scenes or run them manually when you’re ready. Go ahead and import to your heart’s content—Event Aggregator hooks you up with a central dashboard in the admin to make managing your imports a breeze. Event Aggregator is unable to import events from Facebook.com. 1 year of excellent support and access to the Event Aggregator service for up to 10 sites. Up to 100 scheduled imports per day. Up to 200 scheduled imports per day. Up to 1000 scheduled imports per day. Up to 300 scheduled imports per day. Want to fill your calendar with all the latest happenings? 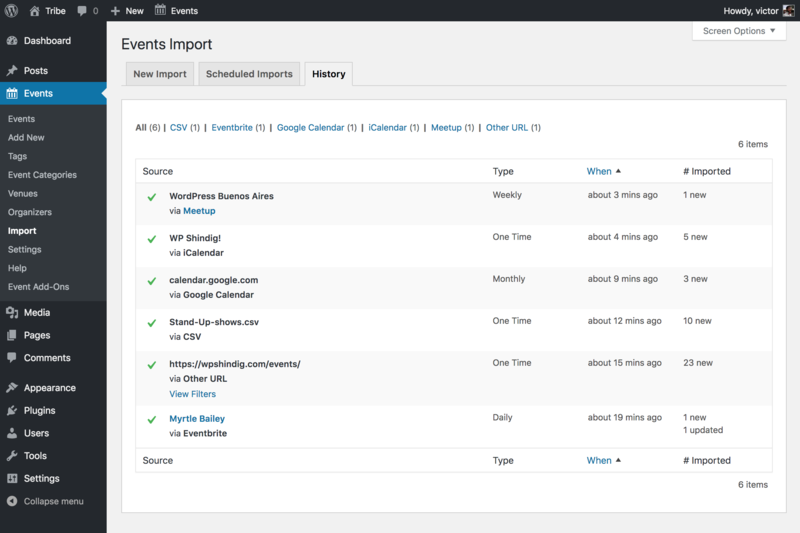 Event Aggregator imports events using feeds from your favorite sources across the web. 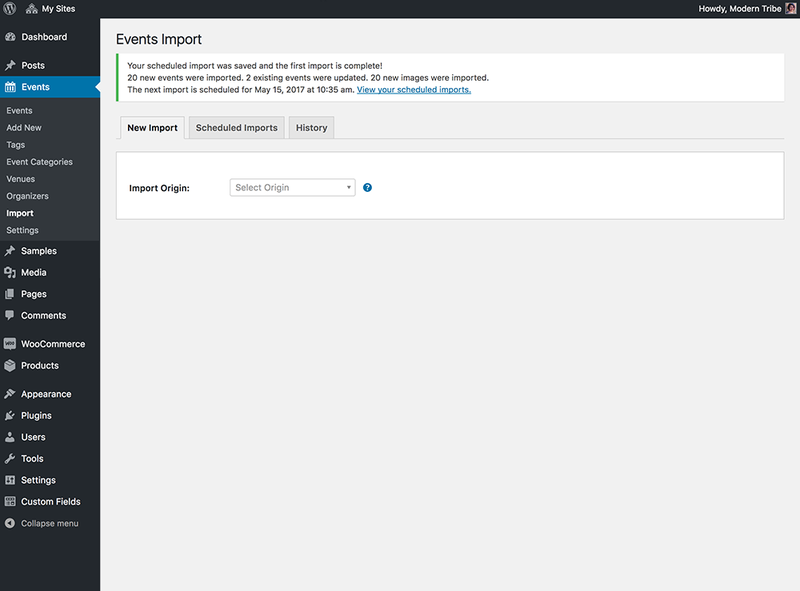 Manage all of your event imports right from your WordPress dashboard. Whether you’ve set up scheduled imports that run automatically or you’re running a one-time import, you’ll be able to preview multiple events, choose specific ones to import (or all of them! ), add a category, and set the publishing status with a few quick clicks. You can even take it a step further and refine your import feed by date, location, or keyword. No matter how you configure it, you’ve got full control. Bonus! Since Event Aggregator is an add-on service for The Events Calendar, there are no extra plugins to download or maintain. Meetup, Eventbrite, Google Calendar, iCalendar, ICS files, and other sites running The Events Calendar plugin. Import many events at once. Import events from Meetup using group, page, and host event feeds or directly from individual event URLs. Import events from Eventbrite single event, organizer, and location search URLs. Schedule automatic imports or run manually at your convenience. CSV imports (included with The Events Calendar) can be uploaded manually from the same screen. Imports from Eventbrite, iCalendar, Google Calendar, and ICS can be modified with filters for keyword, location, and date. 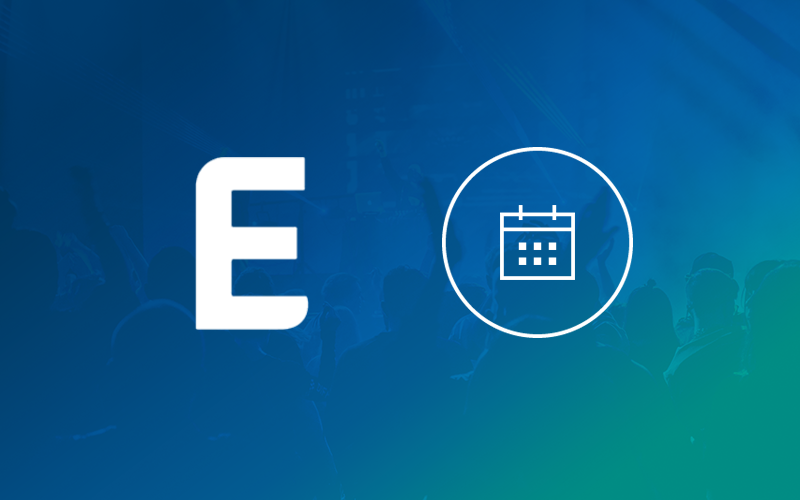 Grab updates from the original event source without duplicating events on your calendar. Publish imported events automatically or save as a draft to review. 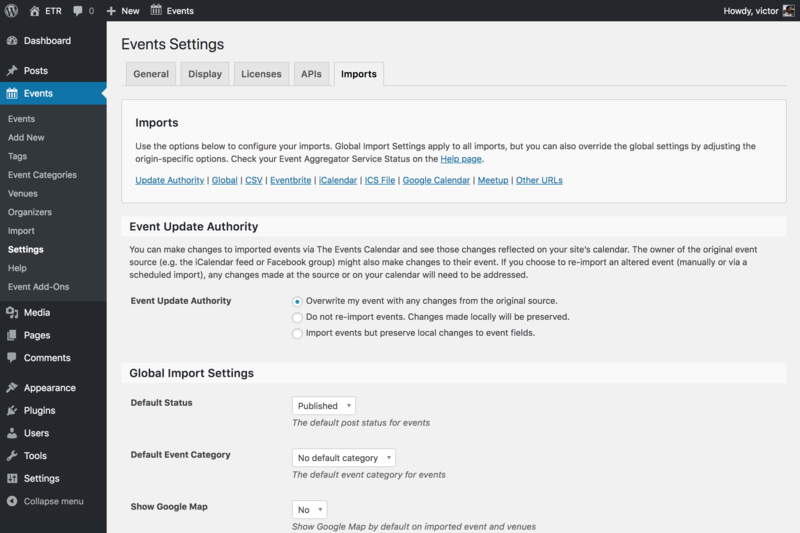 Assign Event Categories to imported events globally or more specifically. Remove imported events without them being duplicated on the next import. Every import is tracked in your History log and includes information on the date, source, type, and outcome of the import. 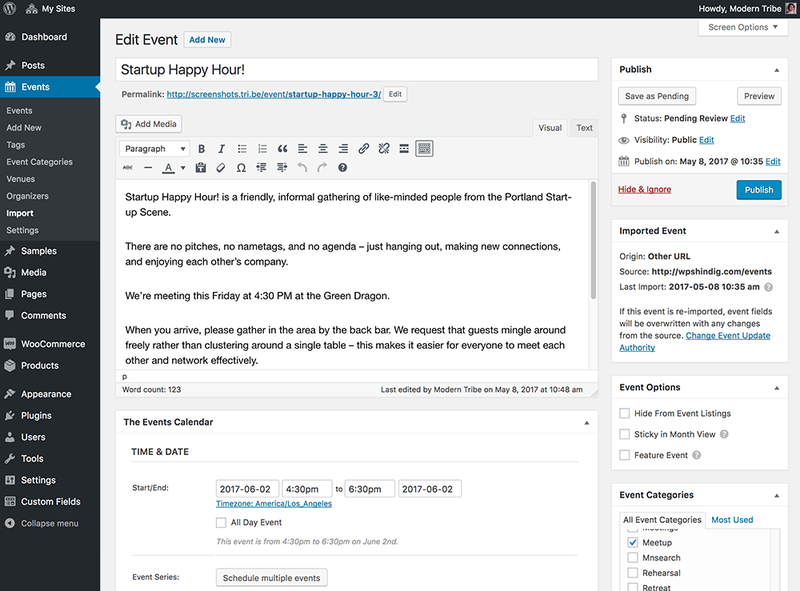 Add feeds from relevant interest groups, organizations, and businesses to create a calendar your users will love. 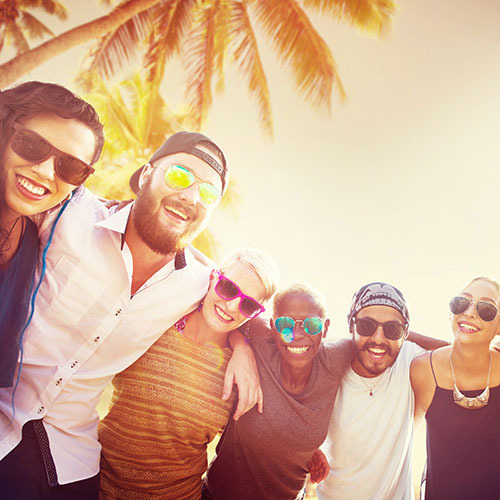 Event Aggregator makes it easy for you to become THE go-to resource for events in your area, giving you more time to focus on engaging with your community. Importing event feeds from athletic teams, academic departments, cultural centers, and student organizations is a snap with Event Aggregator. With just a few clicks, you’ll be ready to showcase everything happening on campus in one central calendar – something students, staff, alumni, and parents will love. 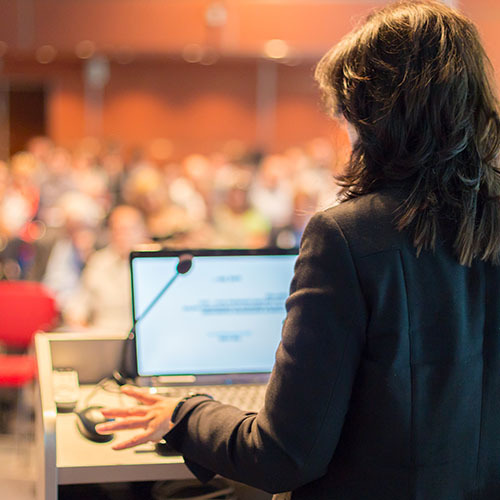 Struggling to get everyone on the same system for events? Event Aggregator bypasses that barrier by allowing you to pull events from multiple sources, even if those calendars aren’t set up on WordPress. Now you can create a master calendar with a few swift clicks – no complicated migration or tedious copy/paste required. Seamlessly add events from Eventbrite.com to your calendar. With Event Aggregator scheduled imports, your WordPress calendar stays in sync with any changes made on Eventbrite, so the most up-to-date information is always available for your visitors. Import events one at a time using the event’s unique URL, or go wild importing as many events as you want! You can import based on geographical location using the Eventbrite.com location search URL or set up import feeds from specific organizer profiles. No matter which type of import you set up, you’ll have a chance to preview the events and cherry pick the ones you really want to add to your calendar. Whether you’re running scheduled imports or doing a one-time manual import, you’ll have the option to apply a category to all events as they’re added to your calendar. You can also choose to publish imported events right away or set them to pending review for even more control over which events are added to your calendar. 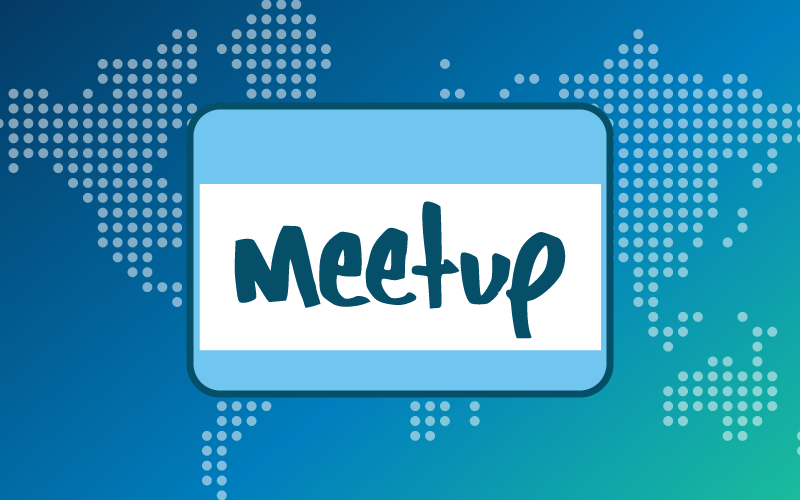 With 258,000 groups in 178 countries, over 625,000 events are posted each month on Meetup.com. That’s a big pool of events to choose from and present on your calendar. Event Aggregator makes it easy to curate and import events from your favorite Meetup groups. Upcoming events can be imported at the group level or by using a single event URL. With our smart sync feature, you can grab updates from the original event source without duplicating events on your calendar. Many sites across the web publish their events in an iCal or ICS format, making them easy to import into your events calendar. But there are some pretty big places that don’t – Eventbrite, Meetup, and Google Calendars, to name a few. 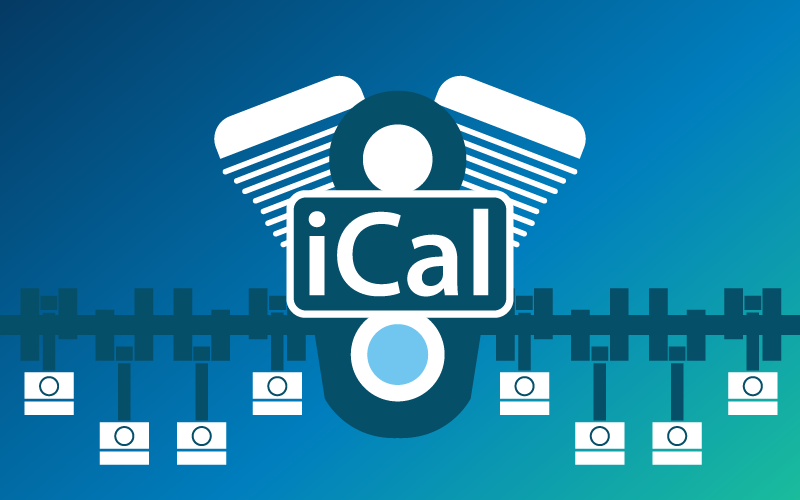 By incorporating the tried & true features of our (now retired) iCal Importer plugin and completely refactoring the code to include additional features, we’re able to provide a better, more stable service for our users. Even if you’re only using the iCal import features for now, Event Aggregator gives you the flexibility to add those extra import sources when you’re ready without needing to purchase an extra plugin – everything’s already baked into the service. Easily display events from any public Google Calendar on your WordPress website. 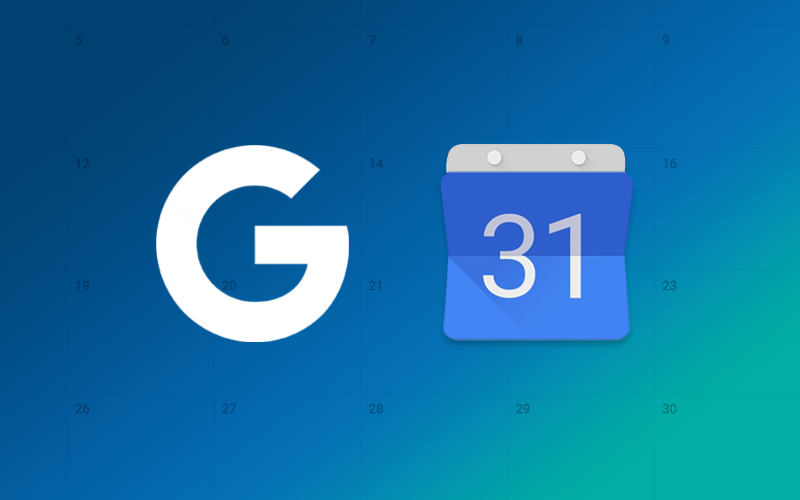 With Event Aggregator, there’s no need to recreate events in WordPress—just keep on managing them in Google Calendar and let our import service do the rest. Event Aggregator makes it easy to combine multiple Google Calendars into one centralized display on your site. Pull in as many calendar feeds as you wish and filter them as needed. 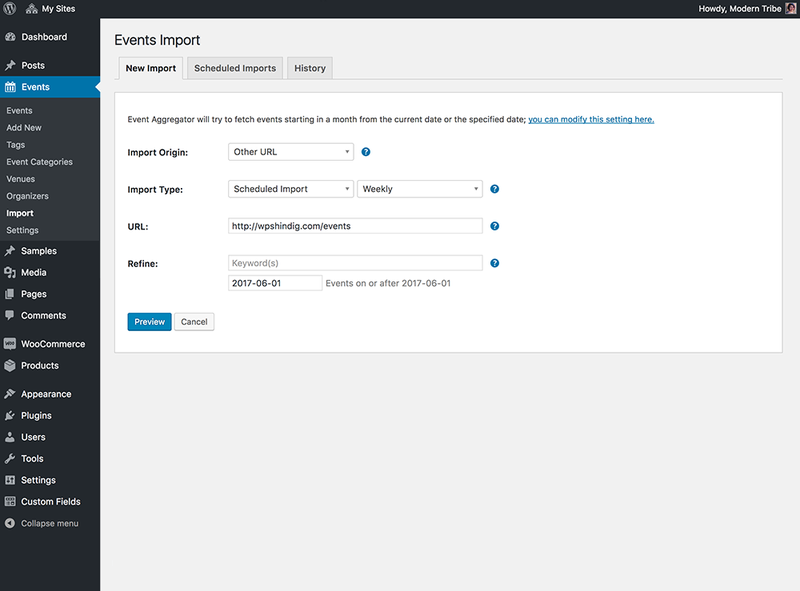 When your imports run, your WordPress calendar will automatically update with the latest and greatest info based on your Event Update Authority settings. Using “Other URL” as your import source, you can quickly grab event data from other websites across the web without hunting for an iCal feed. This feature currently works to import data by URL from over 150,000 sites running The Events Calendar version 4.5 or higher. When importing events from these sites, Event Aggregator is able to pull in data from all of our standard plugin fields, including featured images, venues, and even event settings. Import by URL support for other websites and platforms is in the works. In the meantime, you can continue using Event Aggregator to import events from most sites across the web using iCal as the import source. Are any other plugins required? Nope, no additional plugins are needed. As long as you’re running a WordPress site with The Events Calendar installed (version 4.3 or later), you’ll be able to purchase and use the Event Aggregator service. An import is the process of bringing event data from an outside source into your calendar. Events are the result of this process. When a calendar listing is imported into The Events Calendar, a new event is created on your site using the data from the original listing. How do the event import limits work? There is no limit to the number of events you can fetch during each import; however, there is a limit on the number of imports you can run each day depending on your license level. If you’re running a once-daily import from two Eventbrite organizer URLs and one Meetup group, that counts as three total imports, regardless of the number of events published to your site. Worth noting – if you use the same license key on multiple sites, all imports run by those sites combined will count towards your daily import limit. Scheduled imports are not available for ICS or CSV files uploads. ICS and CSV files need to be manually uploaded. You can import events from most sites across the web – even if they’re not using WordPress! Event Aggregator currently supports imports from Eventbrite, Meetup, Google Calendar, iCalendar, and ICS. CSV imports (included with The Events Calendar) can be imported as a manual upload. Event Aggregator also supports importing by URL from other sites running The Events Calendar plugin, including all standard fields and individual event settings. As long as a site is providing their calendar data in a standardized iCal or ICS format, Event Aggregator should be able to import events from that site. If a site is not providing their calendar data that way, you may need to use an alternate tool like our Eventbrite Tickets plugin. Event Aggregator is available for WordPress sites running the FREE version of The Events Calendar plugin (version 4.3 or higher). Our Filter Bar plugin helps visitors navigate your calendar by adding a configurable set of filters to your event pages, allowing users to search by event category, post tag, venue, organizer, day of the week, and more. Learn more about the Filter Bar. If you have questions about functionality or what tools are best for you, please post a thread to our Pre-Sales Help Desk and we’ll be happy to help! 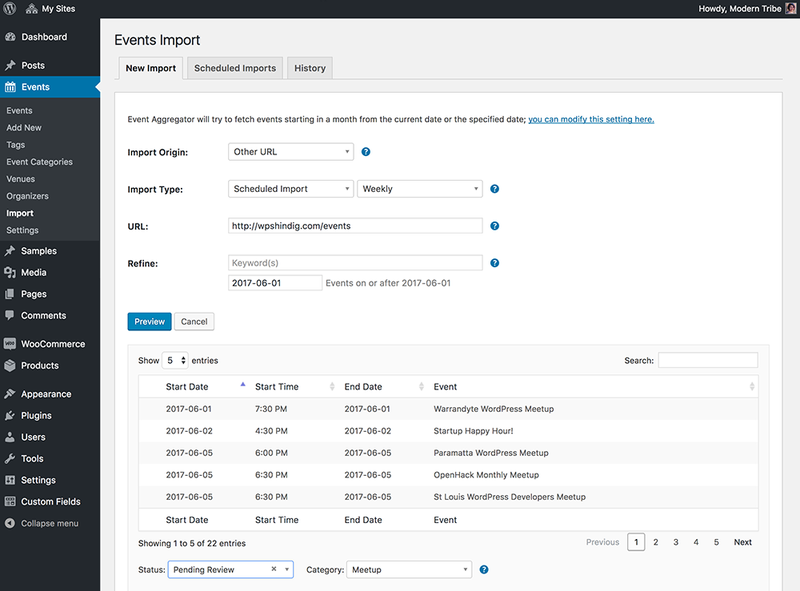 If you are going to be using Events Calendar PRO on your site it’s worth noting that while Event Aggregator can import recurring events, once imported they will become standalone, single events—rather than a connected series of events. Fill your site with events and get 1 year of excellent support and access to the Event Aggregator service for up to 10 sites.